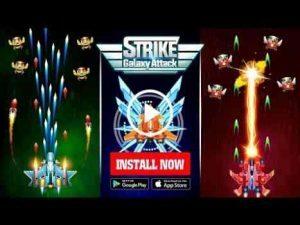 Strike Galaxy Attack is the best shooting online games PVP – The best arcade game of 2017 and promising to create a major earthquake on Google Play. 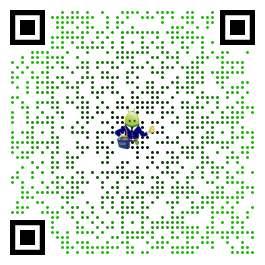 You can play it on all smartphone and tablet. In immense space, there are always brutal forces with plots to invade Earth: May be aliens or animals that is as intelligent as human… They can attack our beautiful earth anytime! Game bring you a epic war against chicken invader squadron. They’re as modern fighter – the powerful army arm with advanced technology and the strongest weapons. You’re last hopeful of Earth, your mission is control Legendary Fighter and join the epic battle to protect Earth from the invaders. In the battle, you can change fighter and upgrade power of your fighters by collect items, booster to destroy all enemy. Please control your fighter cleverly and smartly and bring the peace for Earth. If you want to win, you’re must be an experienced player of the top down air combat shooter games, FPS games and you also have strategy , don’t waste your life and get the failure that was not worth it. Play game with high concentration to become a Hero who be true leader of Earth. Log in Facebook to update leaderboad with your friends. The attractive mission system . Great graphics, Amazing sounds and music. Many levels with different difficulties, different challenges. Various enemy : chicken fighters, chicken army, Big bosses. Many boosters, many items to collect and upgrade . The attractive daily mission, achievements. Many free coins and booster with lucky wheel . Don’t wait. download Strike Galaxy Attack: Alien Space Chicken Shooter right NOW!!! addicting game. ads make it easy to level up. Silly bit lots of fun and upgrades to plane are simple. Thank you for your feedback! We will make a help board in the next updates.